Printed alphabet on inside front cover. 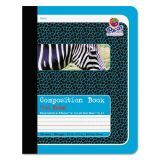 Pacon Composition Book, 1/2 Ruling, 9 3/4 x 7 1/2, 100 Sheets - Back To School! 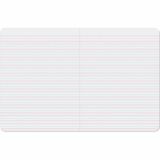 Composition book helps track students' handwriting progress with fully, 1/2" (short) ruled sheets. 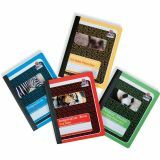 Colorful distinctive covers make it easy to find the grade level and ruling you are looking for. Inside front cover is printed with the alphabet. Rulings conform to D'Nealian (1, 2 and 3) and Zaner Bloser (2 and 3) handwriting styles. The dotted midline and the skip space are 1/4". 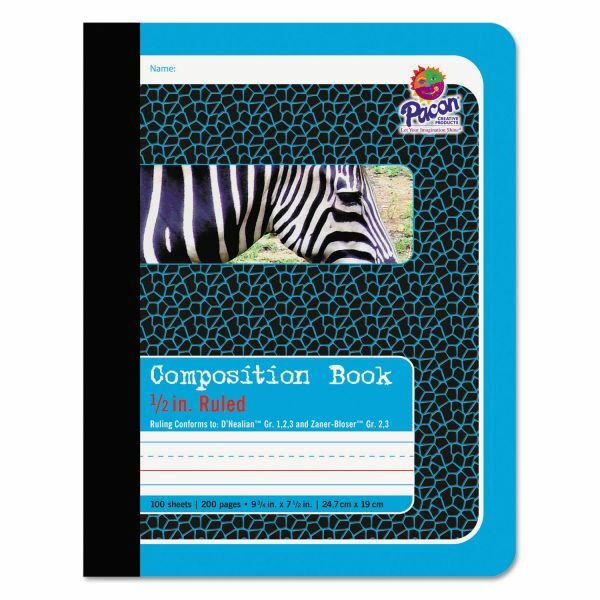 Composition book contains 100 sheets or 200 pages. Conforms to D'NealianT Grades 1, 2, 3 Zaner-BloserT Grades 2, 3.